As part of my ongoing study of Christian baptism I have now come to an important passage in the first chapter of the first letter to the Corinthians. Paul says a fair amount on baptism throughout his letters to the early churches. Most of the verses on baptism from Paul seem to assume things about baptism that must have been understood by those of that time, but are not necessarily the same assumptions we have today. In other words, Paul often mentions baptism without providing a complete teaching on baptism, probably because he didn’t feel he needed to explain everything. His readers probably knew what he was talking about. For us today, with two thousand years of various traditions and teachings, we have to work to figure out what Paul thought on baptism. Did Paul think baptism was required for a Christian, whether to received the Holy Spirit or to be initiated into the visible church or to receive some kind of grace? Or did Paul think baptism was a good cultural thing to do, a meaningful thing to do, but a thing that could and should be tossed aside if it causes one to stumble in the faith? As with my previous posts on baptism, this one is a kind of meditation and not a final statement. I give thanks to my God always for you because of the grace of God that was given you in Christ Jesus, that in every way you were enriched in him in all speech and all knowledge—even as the testimony about Christ was confirmed among you—so that you are not lacking in any spiritual gift, as you wait for the revealing of our Lord Jesus Christ, who will sustain you to the end, guiltless in the day of our Lord Jesus Christ. God is faithful, by whom you were called into the fellowship of his Son, Jesus Christ our Lord. I appeal to you, brothers, by the name of our Lord Jesus Christ, that all of you agree, and that there be no divisions among you, but that you be united in the same mind and the same judgment. For it has been reported to me by Chloe’s people that there is quarreling among you, my brothers. What I mean is that each one of you says, “I follow Paul,” or “I follow Apollos,” or “I follow Cephas,” or “I follow Christ.” Is Christ divided? Was Paul crucified for you? Or were you baptized in the name of Paul? I thank God that I baptized none of you except Crispus and Gaius, so that no one may say that you were baptized in my name. (I did baptize also the household of Stephanas. Beyond that, I do not know whether I baptized anyone else.) For Christ did not send me to baptize but to preach the gospel, and not with words of eloquent wisdom, lest the cross of Christ be emptied of its power. This is a powerful passage and it must be pointed out that the issue at hand is not baptism but quarreling, and really quarreling about who different groups within the church community were “following.” In other words, it is clear that Paul is not writing to the Corinthian about baptism, but baptism was a piece of the picture, enough so that Paul must bring it up so as to explain how or where the Corinthians got things wrong. I want to make it clear that I am no scholar regarding the New Testament or the theology of Paul. What I want to do, as in my previous posts on baptism, is to use this passage to provoke my thinking and see where it may lead. You can participate in the process via the comments. Let’s go through this passage. My notes: Paul affirms their faith. Is the “grace of God that was given you in Christ Jesus” a grace imparted at baptism? There does not seem to be any indication of that. He says they were enriched in speech and knowledge, that they lack no spiritual gift, and that Jesus Christ will sustain them guiltless to the end. what we don’t have here is the means laid out. Just how was this grace given? When was it given? What does it mean to be enriched in him, in all speech and all knowledge? How was the testimony confirmed? What did that look like? What are the spiritual gifts Paul means here? How does Jesus sustain anyone? I find passages like this one difficult. It is packed with ideas that I feel I know, but on reflection I realize I don’t. Spending my entire life within Christianity has produced a tendency to read such passages without reflection, for I “know” what Paul means. Do I? What I find interesting is that Paul is writing that these things are true, and then he will go on to say that he is glad he baptized very few of the Corinthians. Does this mean that all these things (grace, spiritual gifts, etc.) are true even if one does not receive baptism. I would say it might. My notes: Here Paul reminds the Corinthians that God is faithful, that they can count on Him. The question I have is whether the entering into the fellowship of Christ requires baptism. From what Paul is going to say many would say probably not. I am not so sure. It might. My notes: Here Paul addresses the main issue at hand. There are divisions and Paul calls for unity. Exactly what Paul means by “the same mind and the same judgement” I am not sure. Is this primarily doctrinal? Did these divisions produce lack of unity elsewhere? Did various factions refuse to fellowship with other factions? I would say we must read the rest of the letter to answer those questions. As an aside: How, in light of this passage, should we understand the East/West Schism of 1054, or the Reformation, or the subsequent Protestant divisions? My notes: Here we have more of a picture of the nature of the divisions, that is, quarreling. Is this quarreling merely doctrinal disagreement? Or are the Corinthians also being unloving? The history of Christianity has taught us that we can have different doctrines and practices and still love each other even though we often don’t. It seems that Paul sees these divisions as a kind of dividing up of Christ. What does that mean? Clearly one aspect is that the Corinthians have turned their focus from Christ to individual teachers. Whether these teachers represent, in the minds of the Corinthians, different doctrines, approaches, styles, or charisms is unclear. Did some follow Apollos because he was a more dynamic leader, or because he emphasized certain things, or because he has a different nuance on doctrine. I would guess his doctrine was sound and in line with Paul. Could it be that there were some differences, but the differences insignificant, and the problem is that the Corinthians made a big deal out of insignificant things while forgetting the big picture? Paul asks whether they were baptized in the name of Paul. Clearly the Corinthians, and Paul, saw baptism as being meaningful. To be baptized in the name of Paul is very different than being baptized in the name of Jesus. But why? Paul would not draw this distinction if he did not see baptism as being meaningful. However, how meaningful? It would seem that baptism means, at least in part, to be a follower. How did the Corinthians gets this wrong? Christians today follow Christ, but they do so by being part of a tradition. Thus, one might say, though not necessarily in these words, I follow Christ by following Luther, or I follow Christ because I am a Catholic (or Baptist, or Anglican, etc.). Is this any different than the Corinthians? Baptism becomes an important question when one changes denominations or goes from Protestant to Catholic or vice versa. Was one’s baptism valid? Have we made too much of baptism or, maybe, too little? Have we divided, and then continued to divide and to divide, Christ? My notes: This is the first of two “big” verses in terms of baptism. How can Paul say that he thanks God he did not baptize very many of the Corinthians? What this would imply is that baptism is relatively unimportant to the bigger issues of unity. (I was tempted to say bigger issues of faith, but it could be argued Paul is not directly dealing with that here, though it is probably implied.) In fact, one could conclude that Paul is implying that baptism is not necessary and, apparently for the Corinthians, it has become a kind of stumbling block anyway. Better to not be baptized, Paul would seem to be saying, and receive salvation, than to be baptized and then falsify one’s baptism by turning to divisions. Or, one could say, it is not the name into which one is baptized as much as it is the name that one follows with one’s life. In other words, one’s life will demonstrate one’s allegiances, not one’s baptism. Of course, Paul did baptize the Corinthians, even if only a few. Could it be that Paul is not saying baptism is relatively unimportant, but instead is saying that it is too important to take so lightly as the Corinthians have taken it? In other words, if one was baptized into Christ, and yet tramples on that baptism with petty divisions, would it have been better to have not been baptized in the first place? Could this, then, be an argument for baptism, and not only that, but for a high view of baptism? It seems to me that Paul is angry (or at least deeply worried), so much so that he wishes he had not performed such an important and sacred act as baptizing any more than he did. It is as though he is saying, “How dare you disdain your holy baptism, which brought you into the unity of Christ and his church, by now dividing Christ up with your divisions. Did not that baptism mean anything to you? Do you not understand how profound and precious is that baptism?” These, of course, are not Paul’s words, but do they get at his meaning? I am incline to think so. My notes: This is the second “big” verse. Here Paul contrasts baptism and preaching the gospel. It would seem that, again, Paul is dismissing baptism by comparison to the gospel. In other words, Paul says, it would seem, that baptism may be just fine, but compared to the gospel it is nothing. Therefore, we Christians—so it goes by implication—can get baptized if we want to, but Paul wasn’t that into baptism for he knew what was important, that is, the gospel. But is this what Paul is truly saying? Maybe. I wish I could call him up and pester him with questions (I’ve got a lot and I know I’m not the only one. Mostly, though, I just want an excuse to make the call and talk to him). What we must realize, though, is that the Corinthians are not asking why Paul never baptizes anyone. That is not their question. The fact is he did; Paul preached the gospel and he baptized. 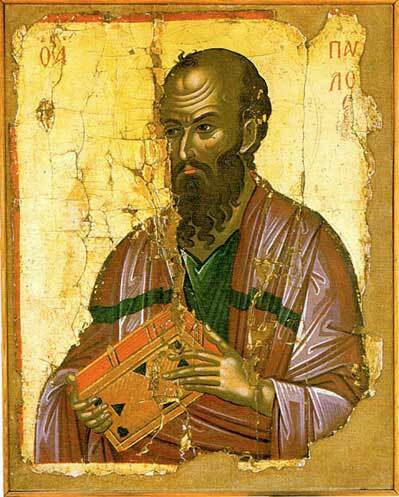 As I understand it Paul went around the Mediterranean preaching the gospel and baptizing converts. I would guess that he saw these two activities as being combined, maybe even inextricably linked. What I see him doing here is not denying or downgrading baptism, but calling the Corinthians on lying, that is, on accepting the gospel, getting baptized in the name of Christ, and then denying both by their divisions. This verse may, in fact, imply a high view of baptism, not a low one. I do not see the issue here being that the Corinthians had a perverted view of baptism, such that baptism was a magical rite that made one into a Christian. I don’t even see this as a correction of the Corinthians’ view of baptism as much as it is Paul pointing out that he is glad he did not baptize anyone who is now acting out a blatant disregard for the gospel for which their baptism is a part (or for which it stands). It is clear that Paul’s concern in 1 Corinthians 1:4-17 is about schisms forming in the church (specifically the local church in Corinth) and not about baptism. In fact, I would argue the entire letter is about divisions, including many passages that are often taken out of context, like Paul’s famous exhortation on love recited at so many weddings. What, then, did baptism have to do with salvation in Paul’s thinking? I would argue that one has to start with Paul’s understanding of what it means to become a Christian. I have neither the intellect or space to unpack that here, nor do I want to fall into hubris, however, one thing that seems clear enough is that to become a Christian is to become a member of the church, that is, the body of Christ. There are many interpretations of what this means, but it must at least mean that one is now a part of that group which follows Christ. It is interesting that Paul says they were baptized into Moses. It would seem that that baptism came about as a result of being both under the cloud and walking through the parted waters of the Red Sea on dry ground; a place of immanent death and, I would assume, a terrifying experience. This passing through corresponds to the going under the water in baptism which corresponds with Christs’ death. The question here is whether the baptism into Moses was merely a symbolic act signifying an internal or spiritual reality. I would say no. The Israelites did not go through the sea in the kind of voluntary way we tend to think about baptism. They were desperate, they were facing death from the Egyptians bearing down on them, they were angry at Moses, then the sea parted and they fled. The act was accomplished by God, and it was nearly an act of coercion. Sure, they did not have to go, but when someone puts a gun to your head you will probably do what they say. This is not to say that God made them walk through the Red Sea, but it comes close, and it is not until after they are safe on the other side, with the Egyptian army drowned behind them, that they turn to God and sing His praises. (That strikes me as a very human story.) One could also say they did not have a choice in being under the cloud. In short, their baptism was done by God for their benefit as He put His seal on them. It was one of the things, along with the spiritual food (manna?) and spiritual drink (water from the rock? ), that God gave/did to make them His people. In this sense baptism was not a sign of repentance and a profound heart change. It was not even a sign of choosing to be the people of God. It was something done to the “fathers” to make them members of a select group of people, a people called out by God and to God. The terrifying I AM came upon them, as it were, and declared them His people. Is Christian baptism like this in some way? I would say yes on two counts. First, we are saved because God saves us. He chooses us as an act of His grace and, in response, also as an act of His grace we choose Him. It is a two-way street, yes, but God does all the driving. It is act and response. Second, because God’s grace pours out on us we then enter into that group of people we call the church. We are His people, like our “fathers” the Israelites. Thus, like the Israelites passing through the sea we receive faith, and like the Israelites becoming the people of God we also become God’s people. I am not arguing that gentile Christians are Jews, or have quite the same unique status in His universe, but that Christianity comes from Judaism and the Jews are our brothers and sisters. We are kin. So, did Paul think baptism was required for a Christian, whether to received the Holy Spirit or to be initiated into the visible church or to receive some kind of grace? It would seem the answer is three yeses. The next question is whether this baptism is the work that God does through His spirit or whether it is the act of water baptism that has become our tradition, or is it both? Is it another example of God acting and we responding? If Paul wants us to draw a connection with how God made the Israelites His people then the answer might be yes. Their story included both the act of God and the physical/visible baptism of cloud and sea. I suppose God could have done anything. He could have written an entirely different story. He could have chosen them but never told them. He could do the same for us. But He didn’t for them, and He doesn’t for us. Still, is this baptism of the Spirit or of water, or both? I am inclined to think Paul uses the word to mean technically by water. We know there are references in the New Testament that specifically refer to water (Acts 8:36-39, Acts 10:47-48a), and they are apparently positive about water, that is, the apostles do not say that water baptism is no longer required, nor do they teach that it is now inappropriate (even in 1 Corinthians, as I suggested above). We also know that baptism by water was a Jewish practice (and maybe throughout the pagan world), and Paul was steeped in Judaism. We also know that Jesus baptized with water (John 3:22-26). And, finally, we know the early church practiced baptism, which should not quickly be dismissed. What we have mentioned in the New Testament is that to believe the gospel and become a Christian involved repentance, being baptized, and receiving the Holy Spirit. How all that fits together I am not yet sure, but I believe Paul understood baptism in this “formula” as being water baptism, but as also being inextricably intertwined with repentance and receiving the Holy Spirit. Is there an order to these three activities? I am not sure. Maybe it is different for each of us. A tentative conclusion of sorts: I have inherited a non-sacramental theology. I am a child of the Reformation (which was not a true reformation from what I can tell, but a rebellion, for good or ill. I am still deciding) and I have deep roots in certain beliefs. But I wonder if the stripping of everything (all external religion, smells, bells, recited prayers, and even baptism) in an attempt to get at some kind of pure essence (an essential Christianity) that we have not turned our back of God in some way. From scriptures we see that God is both all about the heart (internal) and action (external). We see God giving a carefully described, detailed, rule-bound religion to the Israelites. I always thought that He did that as a way to either lay burdens on them in order to teach them something, or in order to make them be separate from the rest of the world. I now think God gave them religion because He made human beings to be religious. The religion that God gave His people was a gift in light of their created design, their humanness. He gave them a raft of symbolic acts and religious practices that He then connected to their hearts and to His providence. Could it be that we also are to have the internal and the external moving in concert? Is religion a good thing for us Christians? Has the “passing through the sea” become now a spiritual, internal process leading to faith with no necessary external component? This is the great question for me, one that I am still sorting out, but a question that might be leading me back, in some fashion, to a pre-Reformation expression of Christianity.